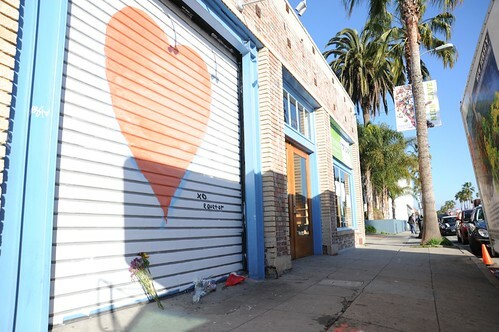 'Blue Bottle' Coffee to Open on Abbot Kinney - Yo! Venice! 1103 Abbot Kinney, previously the home to Equator Books, French 50s60s and Post No Bills, will next be home to the coffee shop “Blue Bottle“, according to the coffee website Sprudge. The property has sat vacant for more than a year. Blue Bottle presently has 6 locations in the Bay Area (it was started in Oakland) and 4 in New York City. Equator Books used to serve Blue Bottle at this same address. Read the Blue Bottle story by clicking here.